Revenue Secretary Hasmukh Adhia said the law provides for indicating the maximum retail price (MRP) of a product clearly on every product. 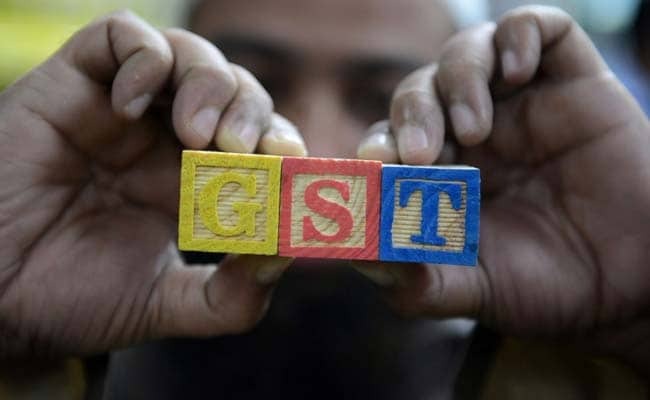 New Delhi: The government on Friday asked traders and businesses to immediately issue advertisements informing the public about increase in maximum retail price (MRP) on mass consumption products post implementation of GST. To clear pre-GST stocks, the government had earlier this week allowed use of dual stickers reflecting the new rate along side the old printed price of a product for three months. With rates of some products undergoing change because of alteration in incidence of taxation involving over a dozen central and state levies unifying into the Goods and Services Tax, there is a requirement as per law to indicate the new rate clearly. Adhia said that to tide over the problem of changing printed MRP on unsold pre-GST stock, the government has allowed pastable stickers with new rates. "I would appeal to traders that it is not a very difficult job to paste stickers. The sooner they do it, the better it is for them," he said at the second GST Master Class here. For items of mass consumption, the revised MRP has to be advertised in two local newspapers. "Supposing it (the commodity) is an item of mass consumption, then immediately the revised MRP should be advertised in newspapers. Inform the people through advertisements. And sooner they paste the revised MRP on the product (the better it is)," he said. He, however, stopped short of stating the legal provisions that would apply in case of non-compliance. Besides, to help businesses find the HSN code applicable for various commodities under the GST regime, the CBEC has launched on its website a search option by which they can find out the code by just typing the name of the product. Harmonized System Nomenclature (HSN) code is used to classify goods for taxation purpose. Adhia said that there are over 11,000 commodities and all of them have specific HSN codes which may run up to 8 digits in some cases. "To make it easy for businesses, the CBEC has launched on its website a search option wherein businesses can just type the product they are searching for and get the HSN code," Adhia said. Businesses with turnover of up to Rs 1.5 crore need not quote HSN code in the invoices GST, but those above the limit will have to do so. Adhia said there is no prescribed format that businesses have to follow while raising an invoice in the GST regime. However, details like GSTIN of the trader and the amount of the bill would have to be clearly specified. In a relief to traders, there is no compulsion on issuing a digitised bill, as a manual invoice will also hold good. Adhia said that issuing an invoice is not necessary if the transaction is below Rs 200. However, the trader needs to furnish an invoice in case the consumer insists on it or the transaction is B2B (Business to Business). Further, if a business does not have GSTIN or provisional id, then it can transact business using the 'bill of supply'.